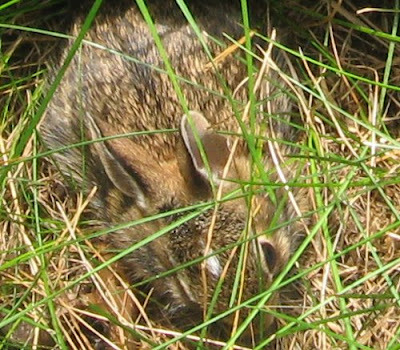 We've all seen a bunny here and there. 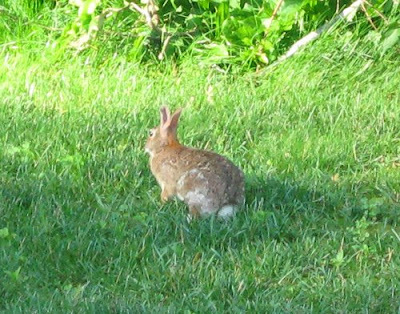 But what is very cool is that we have this one particular bunny that hangs out in our yard all the time. It's always in the same spot by the sandbox. Almost anytime you look this bunny is there. I've grown to love him/her as my own pet. 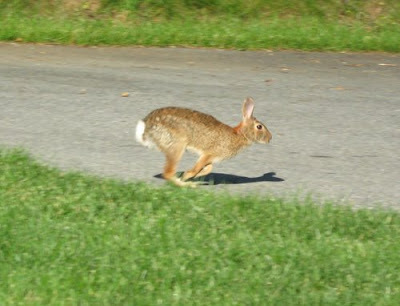 Here is a picture of our bunny. 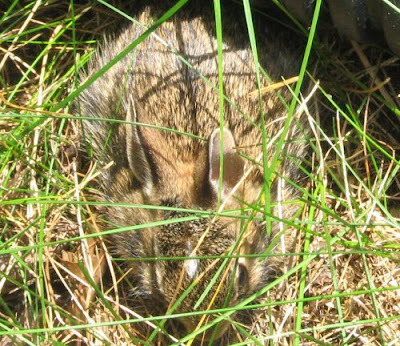 We also have baby bunnies. Talk about cute! I don't have a real good shot of them but this is when they were first born. (same bunny in both photos). Aren't bunnies so sweet! Too bad I can't pet them but I sure get tons of joy out of watching them. I feel so blessed to have such wonderful creatures in my yard to observe.